Whitehouse has signed an agreement with the training provider Rhenindo, to help us present our training courses in Indonesia. Myke King will present the first of these in Nusa Dua, Bali. Comprising Whitehouse most popular modules, two one-week courses are on offer. More details of the content are available on our web site. As an essential precursor to all the others, the Basic Control course is particularly popular and is likely to be full. So the advice is to book early! Those doing so will receive a free copy of Myke King's book. Detailed information on location and pricing is available from Rhenindo. As usual, the same courses will be offered in November in The Netherlands, in conjunction with our partner Paperwork. Interested in an in-company course? These can be tailored as required and are a more economic solution if there are four delegates or more. The full range of modules is described on our web site. We can also structure on-site courses around some real controllers - a very effective way of demonstrating that the techniques really work! If you want to try a course before deciding then come along to an open-access course. We will refund the course fee if, within a year, you book the equivalent in-company course. Would you like to understand more about the technical content of courses, or how companies have used them? Just contact us. Controller tuning seems to be the main preoccupation of control engineers. Of the last 20,000 hits on our website, 28% have been on pages dealing with this subject. 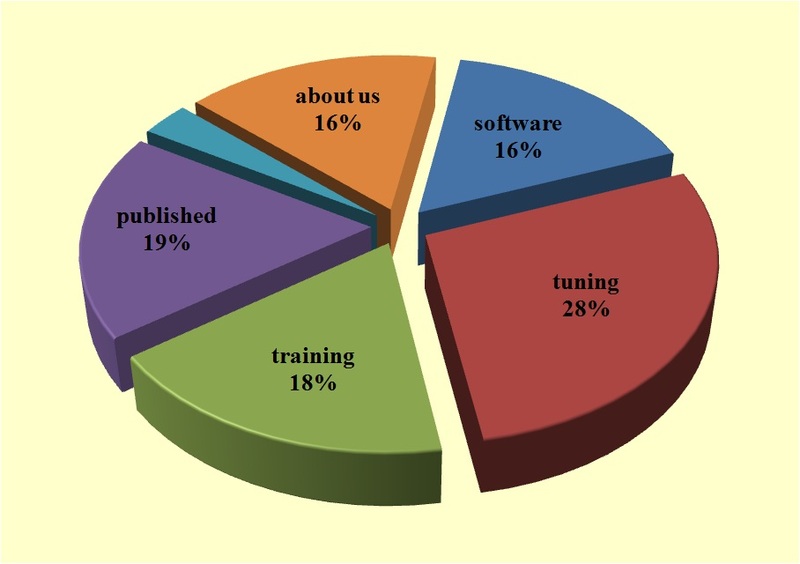 Second came interest in our published articles (19%) followed by our training courses (18%) and software (16%). Interest in the organisation itself attracted 16% of the hits. Interest in other important process control technologies in total rated only 3%! Much of the interest was in our PID tuning package. It was originally developed over 20 years ago and is included in our Process Control Engineering Toolkit. Most of Whitehouse's clients have been applying it to great effect. Since last year, when it was made available free of charge, a further 1,600 people have downloaded it. We remain very active on LinkedIn. At the time of writing this newsletter, we had almost 13,000 people in our network. Please join us, particularly if you're interested in what we're doing with our training and Myke King's book. It is definitely worth participating in some of the discussions. Controller tuning is always a hot topic in many of the groups. Needless to say Whitehouse usually has something to say on the subject! Other subjects include process-specific control designs and the teaching of process control. It can be a very useful source of free advice. The 1,000th copy of Myke King's book was sold during April. It regularly reaches the top 1% of Amazon's best seller list of over 8 million books. Using the minimum of mathematics, it aims to teach the practical application of process control. It was developed from our courses and includes all of their content, plus a whole lot of other good stuff! 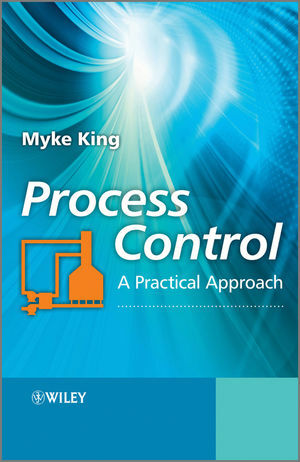 While originally intended for industry it has already been adopted by several universities to support the teaching of process control to chemical engineers. Hopefully this trend will continue as Chemical Engineering departments move away from the traditional and highly theoretical content - much of which has little relevance to the process industry. To further encourage its use Whitehouse has agreed with its publisher, Wiley, that university students and lecturers can purchase the book at a heavily discounted price. We've had a few suggestions about what else the book might have covered. Any comments are very welcome. Just e-mail them to the author. Hopefully there will be a second edition or perhaps a companion book. The survey, being operated by Whitehouse to determine how well university Chemical Engineering departments teach process control, has now been running for a year. The full results will be published in a couple of months, but some preliminary conclusions make interesting reading. 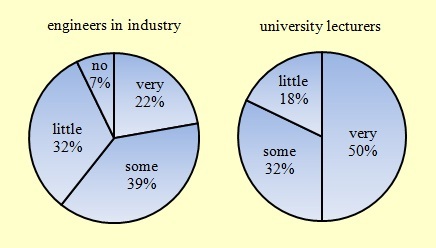 When asked how relevant their process control lectures were to industry, 50% of those graduates now lecturing in universities thought they were very relevant and none thought they had no relevance. This is a far more optimistic view than that held by graduates working in industry - of whom only 22% agreed and 7% thought them completely irrelevant. The survey is still active so, if you are a Chemical Engineering graduate, please take a few minutes to complete it. There are just 9 multiple choice questions plus space to add any other comments. It should take less than 5 minutes. It can be found on the home page of our web site. Whitehouse will be distributing the full report to universities later this year. The most recent of our articles Why don't we properly train control engineers? was published in Hydrocarbon Processing in October last year. Based on the comments received, many readers clearly found it very relevant to their situation! All our articles are available on our web site. They offer advice on many aspects of process control and information systems. Some of them are pretty large files so some patience might be required in downloading them. We have released version 11.5 of our Process Control Engineering Toolkit and Training software. In version 11.1 many of the modules in the Toolkit have been enhanced. In particular the PID tuning package has been expanded to cover more vendor-specific control algorithms (such as ABB, Emerson, Eurotherm, Foxboro, Hartman & Braun, Honeywell and Yokogawa). In addition to Whitehouse's well-proven tuning technique it also includes the option of applying IMC tuning (also known as the Lambda or Direct Synthesis method) and an approach that enables the Ziegler-Nichols closed loop method to be applied without the need to cause the process to oscillate. The inferential tool has in particular proved very successful with our users, offering a low cost method of quickly developing and assessing inferential properties. It too has been enhanced. Version 11.5 addresses the issues arising from installation under Windows 7 and changes in the interface to Excel made necessary by recent changes by Microsoft. This version is free to users of Version 11 and available for a small charge to users of Version 10. Until recently delegates on in-company courses had free access to the software for the duration of the course but had to purchase a licence (at a discounted price) if they wanted to retain it permanently. Now delegates are permitted to retain any software installed on their PC during the course. Effectively given an unsupported single user licence each delegate can, on return to work, make immediate use of it by applying it to real controllers. As ever, Whitehouse will provide free consulting support to delegates later implementing the techniques covered by the course.